We specialize in all aspects of digital marketing, but paid search is our bread and butter. We offer a full suite of paid search management services and handle all the heavy lifting—driving qualified traffic to your site with a mix of pay-per-click advertising, remarketing campaigns, display advertising and more. Our performance-based campaigns are rooted in intelligent strategy, ongoing optimization, complex measurement and rigorous testing, helping your business maximize impressions and convert buying customers. 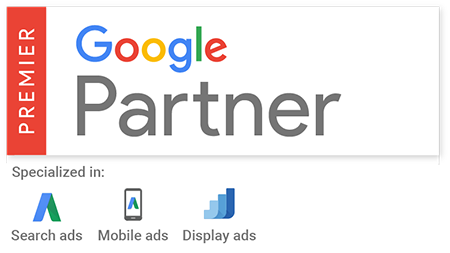 TriMark Digital fulfills the requirements defined by Google to be a certified AdWords partner. 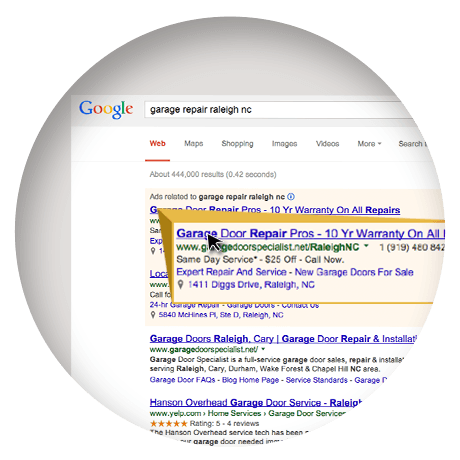 We work with dedicated Google representatives to maximize campaign performance. Click the partners badge to view our official page. One of the fastest, most effective ways to grow your business online is through pay-per-click advertising, or sponsored listings on Google and other major search engines. Our Google AdWords Certified Professionals gurus target your audience using demographic information, pointed keywords, and geographic data to serve ads for your brand across the world’s most popular search engines. We build unique landing pages that capture valuable data, engage audiences and inspire customers to act. We’ll also manage your campaigns around the clock, adjusting as necessary to maximize your ROI. What if you could have a second chance to make a lasting impression on audiences who showed interest but didn’t convert? 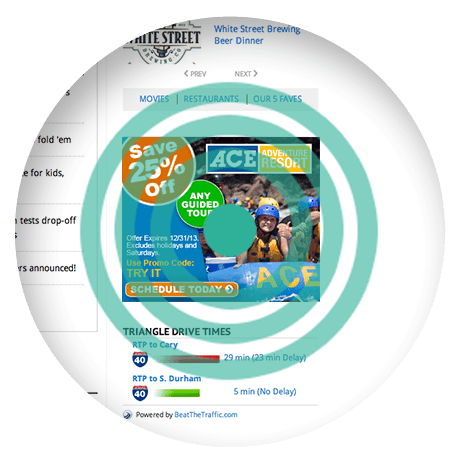 With the right remarketing campaigns, now you can. We’ll deliver customized display ads to users who have already visited your site, connecting them with previous encounters with your brand and compelling them to drop by again—this time to take action. We’ll help you find the best windows of time to show your ads, and exclude those who have already converted to maximize your campaign’s impact. With the help of our paid search specialists, you can regain lost traffic and transform missed opportunities into valuable conversions. Consider display advertising the equivalent of raising a billboard for your business at the top of specific web pages—web pages where you know your target customers spend time online. With our strategically crafted display campaigns, we’ll help your business gain mindshare and generate leads among target audiences by serving up branded advertisements in the right place at the right time. 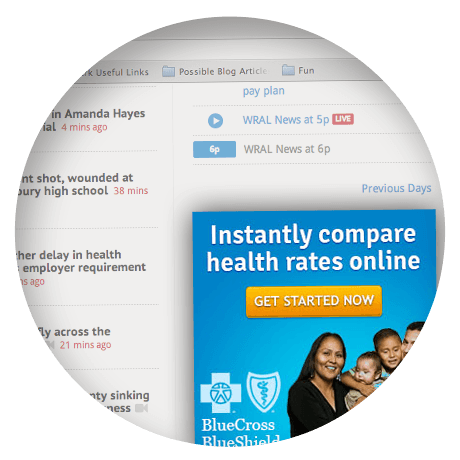 We start by identifying your target customer, segmenting campaigns by demographic information, user interests and more. Then we’ll serve up eye-catching visuals to relevant, high-quality sites, pushing your message out and making impressions upon all those visiting at a given time. How do we engineer your paid search campaigns to outshine and outperform the rest? Data. Big data. 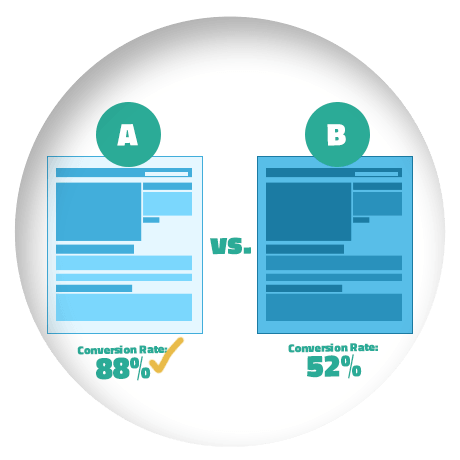 To maximize your campaign results, we don’t just manage your paid search accounts—we also conduct regular A/B variable testing to uncover how audiences are interacting with your ads and landing pages. We then use that data to refine your campaigns accordingly, optimizing your strategy and maximizing your opportunities for conversions. Ready to take your lead-generation to the next level? Contact our team to learn more about pay-per-click advertising, behavioral remarketing, display advertising, A/B variable testing and more. 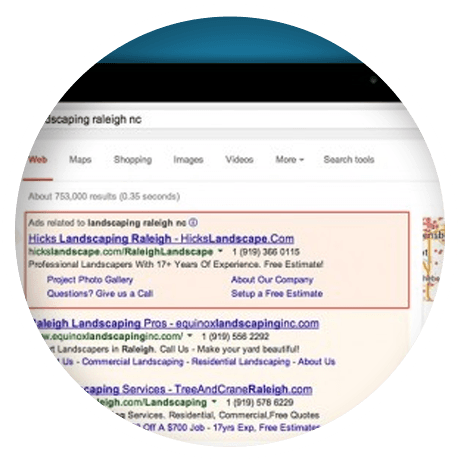 And if you’re also looking to increase your brand’s visibility the organic way, be sure to check out the many search engine optimization services we offer, too!